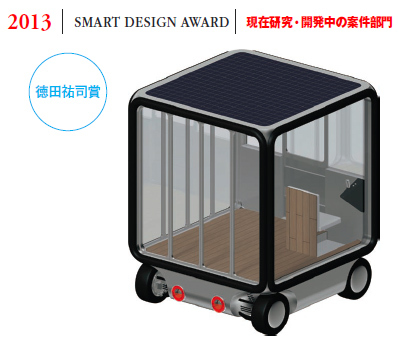 Japanese design magazine, Nikkei Design featured “2nd Smart Design Award” in the June number 2013. Suzuki and his project team in Kogakuin University won the Jury’s Special Award for “TSUBO CAR” project. The theme of the competition was “emergency and usual time.” Even if we get sick or get involved in a disaster, we want to live as usual. The judging committee selected various products design. Even among them, “TSUBO CAR” was unique because it is not proposed by custom-home builder or automobile manufactures, but architect-professor. It means that new design age. 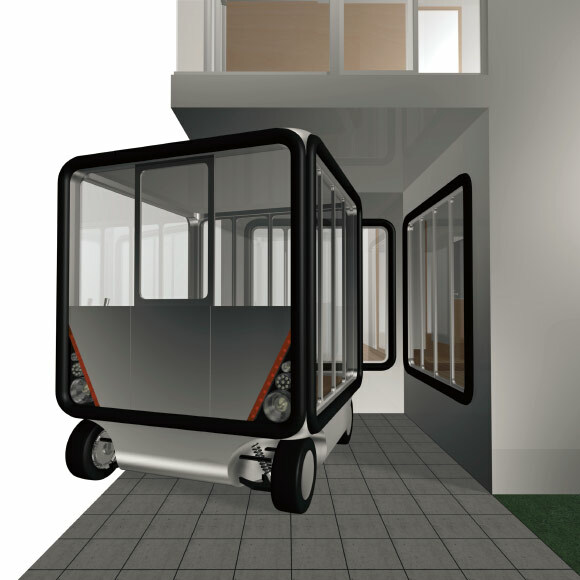 “TSUBO CAR” is an electric car, which have Japanese minimum scale in house,1 tsubo, 3.2 square meter. It works as a part of a house, and sometimes it become an automatic driving vehicle heads to a hospital . According to needs, a room can be work as a the consultation room. 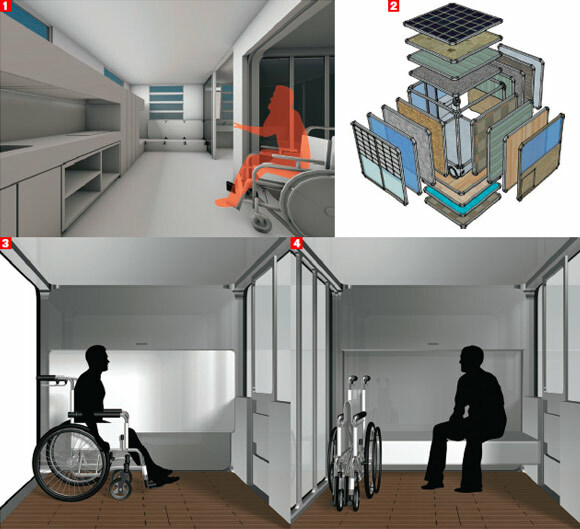 Suzuki designed the floor level of the car and the house as same, because when using wheelchair, move is smooth. This car also charges energy from solar panel of the connected house. In the same competition, “New Mobility Concept” by Nissan was accepted.